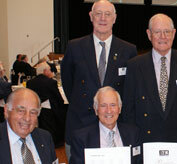 All members of The 70 Club are encouraged to Save the Date for the upcoming September lunch to be held on Tuesday, 4 September 2012. Invitations will be forwarded shortly. 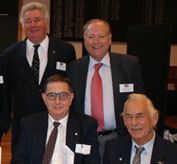 The lunches held annually in March and September provide a wonderful opportunity for these very special members of the Newington community to return to the College and remember life when they were young men and the importance Newington had in their lives. 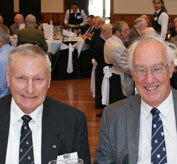 The September lunch will also incorporate the Annual General Meeting of The 70 Club.